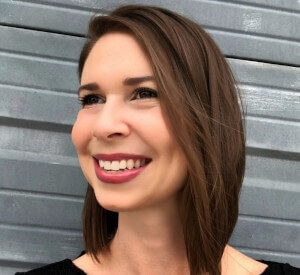 Jen Horonjeff, PhD, is the Founder and CEO of Savvy Cooperative, the first patient-owned public benefit co-op that helps companies and innovators connect directly with patients/consumers in order to get the insights they need to build better healthcare solutions. Jen was named one of the 50 Most Daring Entrepreneurs of 2018 by Entrepreneur Magazine, alongside the likes of Elon Musk, Chance the Rapper and Reese Witherspoon. Jen is deeply committed to human-centered design in healthcare, and has firsthand knowledge as both a patient and professional. She grew up with juvenile idiopathic arthritis and survived a brain tumor as an adult. She is also a health outcomes researcher at Columbia University Medical Center, a human factors engineer, and an FDA Consumer Representative. Jen earned her Master’s in Ergonomics and Biomechanics and PhD in Environmental Medicine, both from New York University. Utilizing her unique perspective, Jen continues to champion patient engagement in research and industry on numerous projects and committees around the globe. She strives to give patients a platform to have their voices and expertise be heard, valued and included–because the future of healthcare is co-designed with patients.